This hawk perched right on the branch that our nyger feeder hangs from! It wasn't his lucky day, though, because all our little darling goldfinches and others vanished quickly. 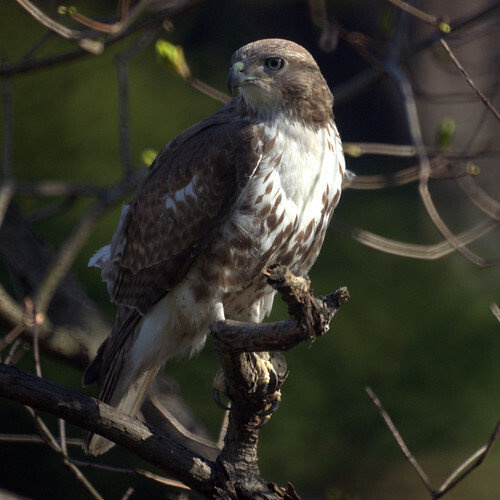 The hawk swooped away down one of the narrow sides of the yard. Fun to watch it so close as it went by the dining room window and navigated that somewhat tight space. 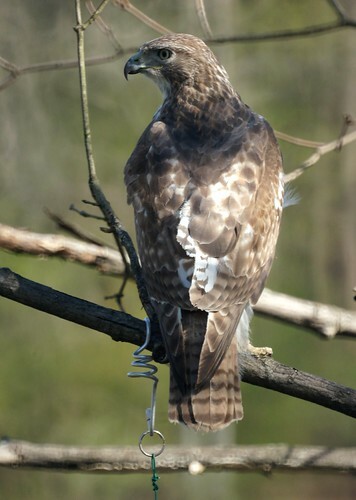 The hawks are beautiful creatures, but we're always glad when they don't actually find a meal here. Well, maybe we could spare a dove.